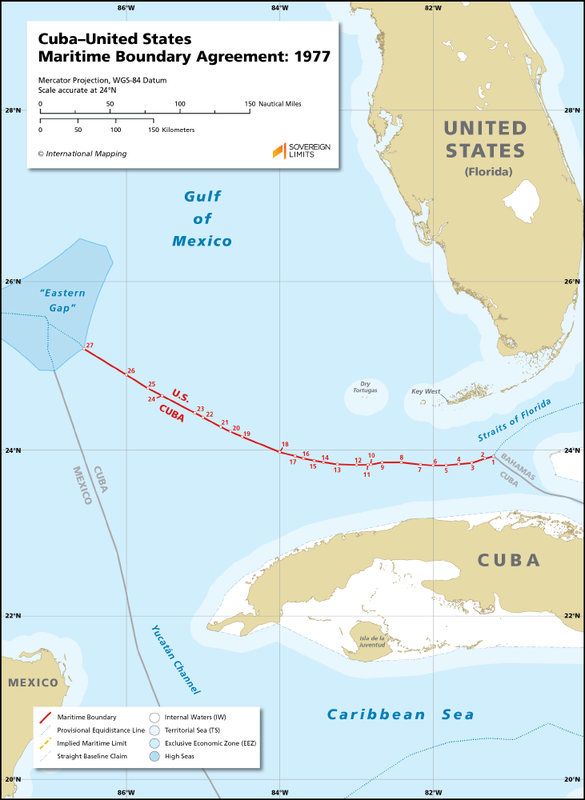 The maritime boundary between Cuba and the United States was established through a bilateral agreement that was reached in 1977. The final boundary was a compromise line that effectively divided the maritime area that was located between two variants of the equidistance methodology. 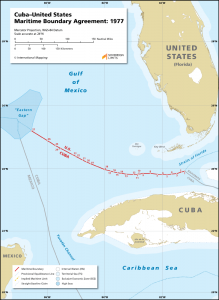 This maritime boundary has been in force provisionally since 1978, but has not yet been ratified.